Make sure you start off this year right by flooding your TBR pile with shiny new 2018 book releases! I went on Goodreads and saw my “want to read” shelf had over 1,000 books on it. Ridiculous right?! I did some serious culling, like the mature and emotionally controlled creature I am, and deleted a sheer ton of books. And then to celebrate? I added 93891 new 2018 releases because they all loOK SO FRIKKIN’ AWESOME. You should all be more like me. But seriously how amazing does 2018 look?! I’m going to make a wild guess that it’ll be a phenomenal year for books, due to (a) my debut is coming out, and (b) other books too I guess I’m not sure but MINE IS COMING OUT. 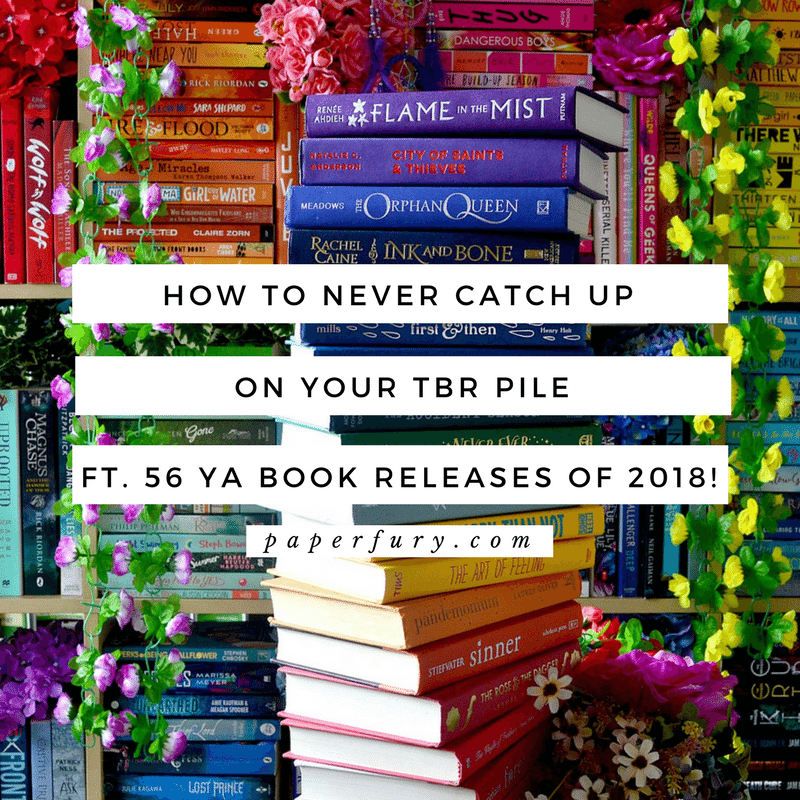 So today I want to affectionally ruin your chances of ever conquering your mountainous TBR pile and tell you which 2018 YA releases I’m most excited for!! I’m just doing the first 6 months of the year. Because I can see the panic in your feverish gaze already. It’ll be ok. Deep breaths. Go fall down a gold mine or sell your sister’s kidneys or something to afford this. We’ll be fine. Also if you want to preorder my book (haha who are we kidding of course you do), there’s free postage world wide on bookdepository.com! It is out June 7th in UK and Australia with Hachette Children’s / Orchard UK and I’m freeeeaaaaaking out. CANNOT STOP TALKING ABOUT IT. PS. Did I mention I’m getting sent an ARC soon!?? It’ll be the first time I’ve ever held my smol son. I’m dead. THE CRUEL PRINCE: Omggg I love Holly Black!! The Curseworker series is my fAVOURITE and I need more of her writing. Plus wild and creepy faeries = insta yes from me. BLOOD AND SAND: The pitch is “warrior princess and a handsome gladiator who dared take on the Roman Republic” and I’m like so intrigued. IRON GOLD: Okay I’m cheeeating. This isn’t YA, but I’m so so excited!! This is continuing on the Red Rising series WHICH IS FAB AND BLOODY and hopefully it doesn’t kill off my favourites who managed to survive the last murdery trilogy. Do they not get a break? Do I not get a break??? No. I’M SO HAPPY. REIGN OF THE FALLEN: I actually got a surprise ARC! But I’m a little concerned because she “falls in love with her husband’s brother”!?! It doesn’t sound very…YA??? THE FORGOTTEN BOOK: I literally want to read this because of the cover. #ShallowAndCannotDeny Also it’s a Jane Austen retelling + everything the girl writes comes true! Hopefully she uses it like Death Note because that’ll be exciting. THE CURSES (#2): I’m like one of the 3 people who enjoyed book one. Excuse me. But hopefully this will be more dark and witchy?! EVERLESS: Even after reading the blurb I have no idea what this is. Someone should probably fire me from blogging or else pay me twice as much cake and give me a Good Effort sticker. But the cover is aesthetically pleasing. Also the blurb doesn’t even mention a love interest?! I’m proud. THE HAZEL WOOD: I’ve actually heard this is horrible hahhaha BUT IT’S PRETTY. Also it’s about dark fairie tales and creepy woods so I want to still try?! CHAINBREAKER (#2): The sequel to Timekeeper which is like steampunk clock ghosts and queer boys and biracial girls and MAGICAL CLOCKS. I’ve already preordered!! THE DANGEROUS ART OF BLENDING IN: So this is about a Greek queer boy who is an artist and the blurb hints it’ll be pretty dark. MY HEART IS READY TO HURT. A TAXONOMY OF LOVE: I’m always keen to find books with disability rep, and the boy protagonist has Tourette’s syndrome! LOVE, HATE, AND OTHER FILTERS: I assume this is about all of our hate for Instagram filters so we can hope. Also #ownvoices Indian-American teen! BY A CHARM AND A CURSE: This is about circus and a boy with an ice cursed kiss, which sounds exciting. THE BELLES: Ahhh I love this author’s previous dark duology about ballerinas, and this is an #ownvoices fantasy with queens and richness and courts and jUST LOOK AT THAT COVER. 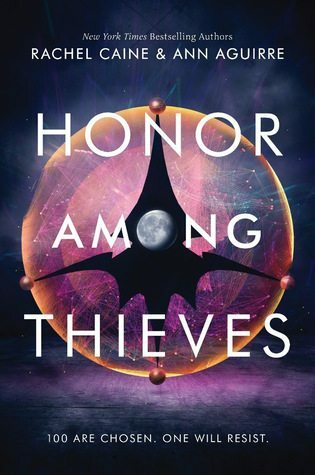 HONOR AMONG THIEVES: Thieves!! Space! Also I love Rachel Caine!! WHEN LIGHT LEFT US: This is the author of Because You’ll Never Meet Me! I’m keen to see what she does next?! Also it has aliens which seems fun. INK IRON AND GLASS: People write worlds into existence!! Literally my job too!! And the cover!! THE CADAVER AND QUEEN: I’M ACTUALLY SO EXCITED I CAN’T BREATHE. This is like female medical student in 1900s + Frankenstein retelling + dead people?!?!??!! Holy heck yes. #PRETTYBOY MUST DIE: Kid CIA operative who gets outed from his undercover life on the internet!? Sounds amazing and very probable. Especially with the YA community. I also have an eARC of this one. SO KEEN. 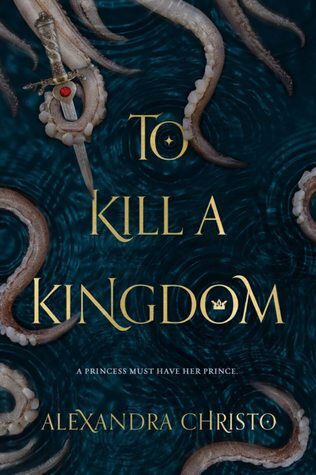 TO KILL A KINGDOM: So small CLAIM TO FAME (!!) 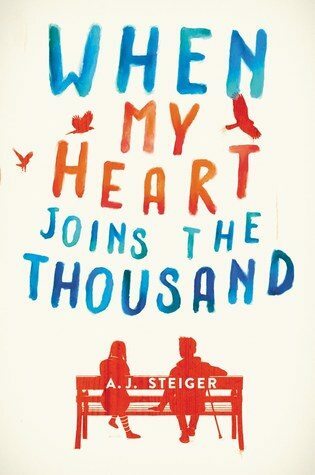 moment, but Allie used to be a book blogger and I beta read one of her earlier unpublished novels (which was amaaaaazing) so I’m fully dying for her debut. Pirates and sirens!! THE UNBINDING OF MARY READE: All I need to say is FEMALE PIRATES and Anne Bonny!! RESTORE ME (#4): We are freaking getting more books about Warner and Juliette?! What a time to be alive. 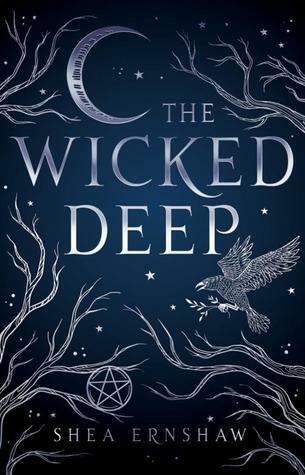 THE WICKED DEEP: Salem witch trials + sister book! I like sister books, because I also think my sisters might be witches. MORE THAN WE CAN TELL (#2): I’m so so excited for this because it’s a spinoff for Letters To The Lost but about Rev!! IT’S EVERYTHING I EVER NEEDED. THE ASTONISHING COLOR OF AFTER: Another #ownvoices book, and this is about a biracial Taiwanese girl!! And ridiculously on my part, I don’t think I’ve ever read about a Taiwanese character —> so YES that this exists. TYLER JOHNSON WAS HERE: I absolutely adore this cover (boys and flowers though ahhhh) and also an #ownvoices Black Lives Matter book! I think this one is going to be so important. AMELIA WESTLAKE: Heyyyy a feminist queer story set in an all-girls school!??! Yes. CHILDREN OF BLOOD AND BONE: Ownvoices African-inspired fantasy?!?? I neeeeed it. OBSIDIO (#3): Nooooo I’m never going to be rEAdY I think everyone is going to die. THE QUEENS OF INNIS LEAR: I’m cheeeating again because this is adult. But it’s about 3 sister princesses and battles and blood and magic. So HERE I AM. MY PEOPLE CALL. MILES AWAY FROM YOU: This is probably going to be a heartbreaking one so like ice cream and I will need to read it together. But a boy goes on a “goodbye/recovery” trip to Iceland and I’m like 99% sure the entire cast is queer. I WAS BORN FOR THIS: Ohh I loved Alice Oseman’s last book!! And this promises fandom and queerness. My only confusion is that Goodreads says it’s out in January (!?) the publisher’s website says April (?!) and there’s still no cover but that’s so soon?! WHAT’S GOING ON. ISLE OF BLOOD AND STONE: Mapmakers and missing princes!! And it’s narrated by a boy and since that’s rare (?) for YA fantasy I am keen. DREAD NATION: An #ownvoices historical fiction! And that cover is freaking AMAZING. LEAH ON THE OFFBEAT: Heyyyy this is a Simon Vs sequel and don’t let anyone tell you otherwise. WHICH MEANS WE GET LOTS OF SIMON TOO. I’M SO HAPPY. SKY IN THE DEEP: Viking fantasy is all I need to know. WHITE RABBIT: Omg this looks so freaking good?!? Queer protagonist + they find a dead body + he has to help prove his sister innocent of murder?!?!?! Yes please. ASH PRINCESS: Ok this sounds SUPER dark and bloody…so hi. SHIP IT: This sounds like Fangirl by Rainbow Rowell a bit?! So I’m happy! Basically queer characters, fandoms, and fanfic writers. I’m only a little cautious because the blurb sounds a bit like forcing people out of the closet before they’re ready? But hopefully it won’t be like that. 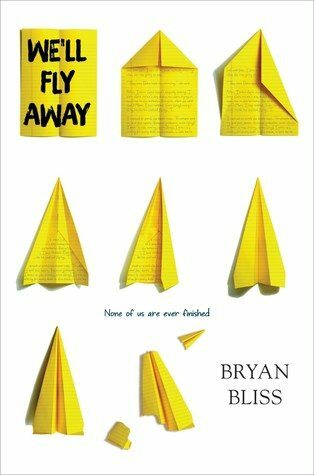 WE’LL FLY AWAY: Told through letters from someone on death row?? I’m intrigued. THE BRIGHTSIDERS: I loved Jen Wilde’s Queens of Geek and she’s an #ActuallyAutistic author (although I don’t believe this book is about ASD, but gooooo ASD authors!) It’s about a bisexual teen music star. LIFEL1K3: I’m keen to see Jay Kristoff’s new sci-fi and how he destroys us next. Lowkey still can’t read that title though. BRING ME THEIR HEARTS: A witch’s soldier girl who’s tasked with capturing the prince’s heart. Like, literally. She’s gotta cut it out. This is great. ON THE COME UP: Next Angie Thomas book! I DON’T KNOW WHAT IT’S ABOUT AND DON’T CARE. BRING IT! ALL OF THIS IS TRUE: I’m so freaking pumped for this!! A novelist steals a bunch of teens’ darkest secrets and puts them in her next book?!? 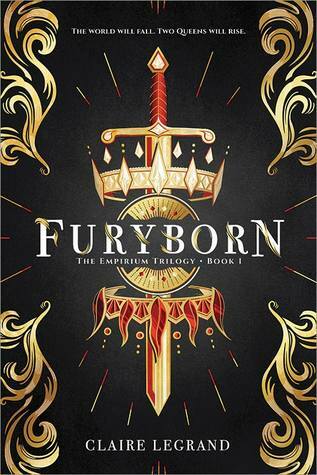 FURYBORN: Awww LOOK!! Someone wrote my memoir. I also have an eARC of this so it’ll be great to see how my future life pans out. Hopefully there are swords and crowns for me coming up. ALLIED (#3): I’m very keen to see how our murderous queens finish the tale. LEGENDARY (#2): Also keen to see how our murderous magical island goes. Like forget the characters haha I’m here for that creepy island. MONDAY’S NOT COMING: The title is honestly a relief, but that aside, I LOVED this author’s mindtwisty debut! THE ART OF FRENCH KISSING: I am so here for the food. Not the kissing. Unless we’re kissing macarons which then I understand. SOMETIME AFTER MIDNIGHT: Genderbent queer Cinderella story! 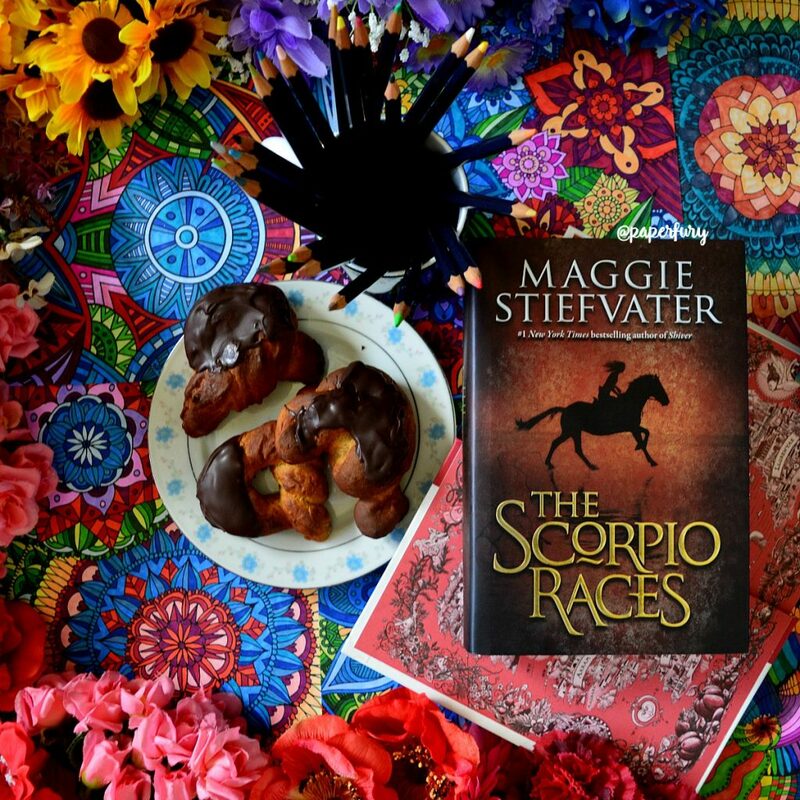 hopefully you and your TBR are thoroughly overwhelmed and crying in the corner…SO TELL ME!! any of these catch your eye?! what book are YOU super excited for in 2018?!? Have I mentioned how excited I am for your book!? BECAUSE I AM. *TACKLE HUGS* KARA. YOU LOVELY CREATURE. And honestly your TBR is welcome for this absolutely rude attack.😂 I’d be sorry but I’m not. Omg just look at these covers and these premises?! Is it just me or are books getting more awesome every year.😍😍 Obviously we all have nothing better to do than read all year. OH HELP ME THERE ARE SOOOO MANY PRETTY BOOK COVERS. You’re not the only shallow person here, apparently. This year, I’m determined to take the Goodreads reading challenge seriously. I’ve read one book already on the first day of the year and am now reading another book (How To Stop Time by Matt Haig. Have you read this one?). I’ll be going back to school on Wednesday and I know I should study but I just can’t stop reading. You know the feeling? I guess you do. I’m so excited for Legendary.😂 And that cover is freaking gorgeous! My TBR only ever grows when I visit your blog. I’ve added a lot to my goodreads today. Not that I mind… Also I’m really looking forward to reading your book. Well aside from your book (which of course I am super excited for, can’t wait to see your final cover), I’m excited for a lot of these as well. I got to read Chainbreaker a few weeks ago, and it was really awesome, I’m sure you will love it. I have an e-ARC of The Hazel Wood and my friend really enjoyed it, so I’m super excited for that one, I also have an e-ARC of By a Charm and A Curse which sounds amazing, and I’m reading Everless right now. March looks like such an amazing month for new releases and I’m so excited about Legendary, though I wish we didn’t have to wait until May! And I have preordered Chainbreaker so I’m pretty super excited about that. Also really relieved you liked The Hazelwood because I want that one quite badly but I was worried after all the low-starred reviews I’ve seen?! Definitely going to try it still though. No problem! I haven’t actually read The Hazel Wood yet, it was my friend who told me it was good, but she has pretty good taste (our tastes are very similar, so of course I’d say that!) so I trust her that it’s good! Well, so much for cleaning up my TBR this year. XD There’s just so many good books! Most of which I didn’t know about until now! Seriously, though, I probably just added another dozen books to my TBR. How do you even find all these? I also 100% agree about the Forgotten Book cover; I saw it and was like “This better be good, because I’m reading it anyway.” And then I proceeded to put it on my TBR even though it sounds like it draws a lot from Emma (my least favorite Austen novel). It looks like there’ll be a TON of unique fantasy this year, which makes me so happy! I mean, I love the traditional knights-castles-and-dragons (good thing, since I also write a fair bit of it), but I also love a change and yeah. Also, sorry for not commenting much lately. I’m still reading your posts, just haven’t had time to say much. And I’m also really excited to see so much diverse fantasy coming out!! It’s like publishers are finally listening and sending what we want! How on earth do you find out about these books? * When I wrote my things I’m looking forward to in 2018 part of my recap + goals + all that stuff bloggers talk about at the end of the year, I could only think of two books I’m excited for this year (the first being Goodbye, Perfect by Sara Barnard and the other (and most important!) being YOUR BOOK (which ps i’m literally dying for oml)) and I couldn’t think of any others (I guess my mind is just filled with the thoughts of your book (ahah true tbh)). So many I want! I’m mentally screaming. How am I going to read everything? I especially want Dread Nation and Obsidio. They sound so perfect. IT’S GIONG TO BE SUCH A GOOD YEAR FOR BOOKS AHHHHH. I still need to read the first book but I’m so keen for it!! I actually really enjoyed The Hazel Wood, and my Twitter feed was blowing up with positivity about it. It is definitely dark. It was so wonderful!! I may or may not have had nightmares afterwards. Oh oh Im’ so relieve!! I was seeing a ton of 1-star reviews and it made me really worried…but I love super dark faerie tales so it sounds like just my thing?! okay so seven of these weren’t on my TBR…how…HELPPPPP. all added now though hahah so 900+ books on my TBR. what is happening to me. and you used to co-write on a blog with amanda foody?!?!? IM NOT FREAKING OUT. of COURSE I’m nooottt. But both of you are now authors. SECRETS HERE CAIT. What kind of magic was this writing blog giving out? Hmmmm. AND AGH ACE OF SHADES AND SHIKFB KASFIYGSBHKM PROBABLY ONE OF MY MOST ANTICIPATED I JUST CANNOT WAIT?!?! There are SO many giveaways of THe Belles on Twitter SO I MUST AT LEAST WIN ONE OF THEM RIGHT?! 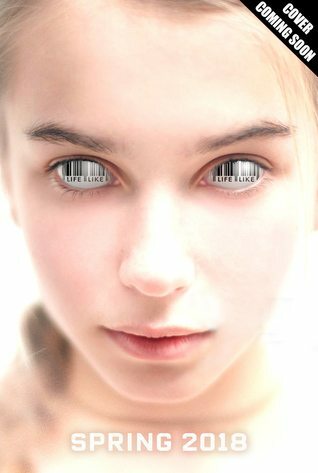 I absolutely LOVE the cover and the premise actually sounds like it wants to capture my soul. Plus Dhonielle is SLAYING it on twitter and I’m so glad! I actually haven’t read any books by her? OOPS. But hopefully The Belles will be my first but not last! AND YOU ARE GETTING AN ARC SOON? OMG PoST PICTURES CAIT, I just…need to see!! A THOUSAND PERFECT NOTES WILL BE PERFECT. i just CANNOT. shhdfkugyHBWKDSUG CAIT YOUR BOOK IS COMING OUT. How do i wait? ANY TIPS? I ammmmm soooooo excited for The Astonishing Colour of After AND Children of Blood and Bone and AGH ALL OF THESE LOOK SO GOOD.. gawd, this POSTS TAKE AGES TO WRITE DON’T THEY?! But thank you for your effort, we appreciate you! I hope you do win The Belles!! I’m so keen for it!! And Dhonielle is an amazing and incredible person and omg she puts up with so much crap from people on twitter. She is a hero. This list was fabulous! Although, if I’m honest, the book I’m looking most forward to isn’t YA. Does that make me a cheater, also? It does, however, have an LGBT romance and time travel, so how could I say no to that? (Time Was by Ian McDonald, if anyone’s curious). Thank you (and also a little bit curse you?) for the list. I always look forward to seeing your recommendations. I’M 99% SURE A THOUSAND PERFECT NOTES IS THE ONLY IMPORTANT BOOK COMING OUT IN 2018 AND EVERYTHING ELSE IS EH, MAYBE OK. 😂😂 I’M A BIT EXCITED. CHILL IS NOT TO BE FOUND. Hey you don’t have to only like YA!😂 I’m also really looking forward to Vengeful by VE Schwab and that’s adult! Oh my gosh! just when my TBR list seemed manageable it just became the opposite. Can’t wait to read your book I’m super excited. One of my new year’s resolutions was to get a lot of work done in the book I’m writing. Aww thanks, Chloe!! I’m so freaking excited about my book haha.😂 And Oh oh best of luck with your writing!! I hope it’s a really good and inspired year for you! I thought I was finished adding books to my 2018 anticipated releases, but you’re right… not that I’m complainin’ though. Who needs a life when you have all these lives between the pages, right? Right? Agh, this list is like the most helpful thing ever, ever! Also, I can’t wait for your book!!!! I’m going to preorder it as soon as I know my summer address. SO MANY exciting new releases. Dread Nation + Leah on the Offbeat + The Forgotten Book. MY TBR pile is like a million times better. EEK! How can I wait? How can I make enough money for all these treasures? Soo many releases I want right now!! ( Publishers, just take my wallet now) I am particularly excited for Caraval #2 and Child of Blood and Bone! Both sound really up my alley and I’m ecstatic for there releases. I know right?! How are we supposed to afford all of this goodness.😂 I’m so so excited for Legendary too!! Okay, first of all YOUR BOOK IS BEING PUBLISHED,!?!??? The things I miss when I’m off doing college applications…I AM SO PROUD OF YOU AMD I CANNOT WAIT TO READ IT. I am absolutely positive it is awesome and definitely funny. CONGRAGULATIONS! But about this post…I literally LOVE these posts because I can never keep track or new releases. Ever. But I also hate them because now my TBR is dying. The Wicked Deep is definitely one I need to look out for, I love the Salem witch trials. And hey, what’s the first book to The Curses? It seems cool. Anyway, happy New Year, congratulations (again), and here’s to all the new books we get to read this year. Also omg my TBR is screaming at me this year.😂 It’s going to be fun. Oh and the first book to The Curses is The Graces! It’s a bit weird but I really liked it. I will actively murder someone to get my hands on Cadaver & Queen or The Art of French Kissing. Although, admittedly, I don’t have that great of a record with reading books about baking because I spend the entire time going NO THAT’S WRONG WHY ARE YOU DOING THAT or WHY ARE YOU USING HIGH-RATIO CAKE YOU WANT GENOISE or WHY THE HELL ARE YOU NOT USING SIMPLE SYRUP????? and kind of ignore the actual plot. Oops. And I desperately need Leah on the Offbeat. I’m so hoping that the friend who Leah develops feelings for is Abby because I’ve been low-key shipping them since the first book. Also, Ship It. I need Ship It. Especially because there have been a couple of shows where the cast has been kind of homophobic lately and I want to read a book where the cast is called out on it. My TBR is dying even more than it already was now, too. Thanks, Cait. Omggg same though. And I think murdering someone for Cadaver & Queen would be totally apt and like in line with the book so that makes it fine. I’m rEALLY hoping The Art of French Kissing has actual…baking it. And not just kissing.😂 But I can imagine the frustration if it’s obvious the author isn’t a baker haha. I’m like that with music books. It’s hard knowing too much right?! And I want Ship It to be good!! I'm really hoping!! Wow, thanks a lot, Cait. *note the sarcasm xD* This will eventually result in my family shipping me off to Antarctica, but I’m adding more books to my 2018 TBR and I SHALL MOVE INTO THE LIBRARY AT THIS POINT BECAUSE BOOKS I WANT MORE BOOKS!!! I CAN’T WAIT TO READ YOUR BOOK!!!! AHHH, YOU JUST REMINDED ME AGAIN AND NOW I’M EXCITED ALL OVER! Love, Hate, and Other Filters is one that I’m SUPER ANTICIPATING, being a Muslim and all and REPRESENTATION, MORE REPRESENTATION FINALLY!!! All in all, IT’S 2018 AND I’M SCREWED BECAUSE MY TBR IS OFFICIALLY GOING TO BE THE DEATH OF ME. SO MUCH FUN!! Ace of Shades is like SIX OF CROWS?!?!?! YOU KNOW I’M THERE FOR THAT!!! Also, 2018 made me confident enough to try something crazy and now I’m a book blogger(????) and I legit have no clue what I’m doing. So, since you kinda inspired me to do this, because I’ve been obsessed with your blog and the impressive amount of cake mentioned, I was wondering if you have any tips for me??? YOU’RE SO VERY WELCOME. I HOPE YOU HAVE FUN IN ANTARTICA (hopefully they’ll ship you off with all your books as well or it’s going to be dull hanging out with all those penguins). Or or better yet, let’s just all live in a bookstore?!? That could help. I hope you end up loving Love Hate and Other Filters!! I’m really excited for that one too!! AND ACE OF SHADES OMG. I’m so excited for a bunch of these! 2018 is going to be fabulous… And also murder our TBRs. Fun. Ugh there is just too much deliciousness coming out in 2018. I’m going to hide under mt. TBR. Any idea when we’re going to get a cover reveal for your upcoming book? I swear this is not a full list! I tried to narrow it down to just the ones i’m the most excited for but there are so many great sounding books coming out this year! Most of my list includes lgbtqia+ characters too! 😀 I can’t wait!!!! Awww that last one there you mentioned DOES LOOK REALLY GOOD. I WONDER IF IT WILL BE.😂😂 *dies laughing at own terrible self-promo tactics* Ahem. And I’m glad some of these caught your eye too!! There are SO many books coming out this year I’m freaking out! Also Reign of the Fallen is AMAZING. And The Creulean is intriguing me so I’m going to look that up! Glad to hear about Reign of the fallen! 😀 2018 looks like it’s going to be a great year for books! I can’t even handle how many amazing books are coming out this year!! I have an ARC of Blood and Sand which I think will be my first read of the year. It sounds so goooood. I know right?! It’s absolutely ridiculous. Authors and publishers are out-doing themselves and I’m so happy!! SAME THO. Like are we supposed to look at books and NOT want to collect them? Pfft. Impossible. 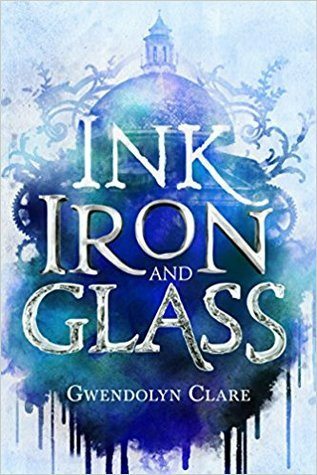 Oh I will be looking forward to what you think of Iron Ink and Glass if you read it then!! Last night I finished the penultimate book in Morgan Rhodes’ Falling Kingdoms series, which ended in one of those pesky cliffhanger things. And I didnt realise the last book isn’t out yet so I’m desperate for the release of Immortal Reign in 2018! I got an ARC for Love, Hate, and Other Filters and I’m . . . not loving it? It’s just okay??? It’s pretty cliché and not moving very fast and I’m not attached to any characters yet, but I’m also not far in, so hopefully that changes. Ink, Iron, and Glass looks SO GOOD. I’m a sucker for stories about books/words/writing coming to life. Cadaver & Queen seems super unique. I didn’t know I needed a Frankenstein retelling in my life until I read the blurb. SO READY for Leah on the Offbeat!!! White Rabbit looks creepy and addictive. I’m in. The Brightsiders cover is so clever and pretty. *heart eyes* I love this trend of hair on covers Jen Wilde seems to have. I’m looking forward to Tiffany Jackson’s new book. Allegedly just about killed me with its intensity and twist! I’m REALLY looking forward to What If It’s Us by Adam Silvera and Becky Albertalli. Their styles are so different and I want to see how they go together. Ah hahahah, you’re welcome for this suffering Hanne. *whispers* Look how shiny they are though. YOU ARE MOST WELCOME.😂 I hope your TBR doesn’t squash you too much. omg cait destroy my bank account why don’t you!? haha but seriously, i’m so excited for how beautifully diverse this year’s releases look. they all sound amazing and the sheer amount of sapphic fantasy and disability rep is blowing my mind. yay! (and a little fyi, yep miles away from you has an entirely queer cast. mc is ace+pan, his girlfriend is a trans girl, scs are mostly gay, and his parents are lesbians)!! it’s also gorgeous. everything i personally kinda wanted all the bright places (etc) to be. but i know that you enjoyed that book so i hope you’ll love this one too!! IM ALSO FREAKING OUT ABOUT CHAINBREAKER. NEED IT IN MY HANDS NOW. AHHHH! Thanks for introducing me to all these new books, Cait! I’m looking forward to reading your book because it sounds interesting, To Kill a Kingdom because I love mermaids, The Wicked Deep because I find witchery interesting, and The Art of French Kissing because I love macarons and it sounds like a haters to lovers book. I’m never speaking to you again. I just went through my TBR YESTERDAY and painstakingly managed to get it below 100. AND NOW IT SOMEHOW – no, I have absolutely nothing to do with this whatdoyoumean – CHANGED TO A NUMBER I CAN’T BEAR MYSELF TO TYPE BUT DEFINITELY THREE DIGITS. Also, I can’t believe I will have 1589 years before reading ANY of those. Cait, you horrible yet awesome human being. I have to actually budget for books this year, which is depressing, but I mean…do I REALLY need to eat? I think books are more important tbh. And I’m going to buy ten million copies of your book. Oh, come on! 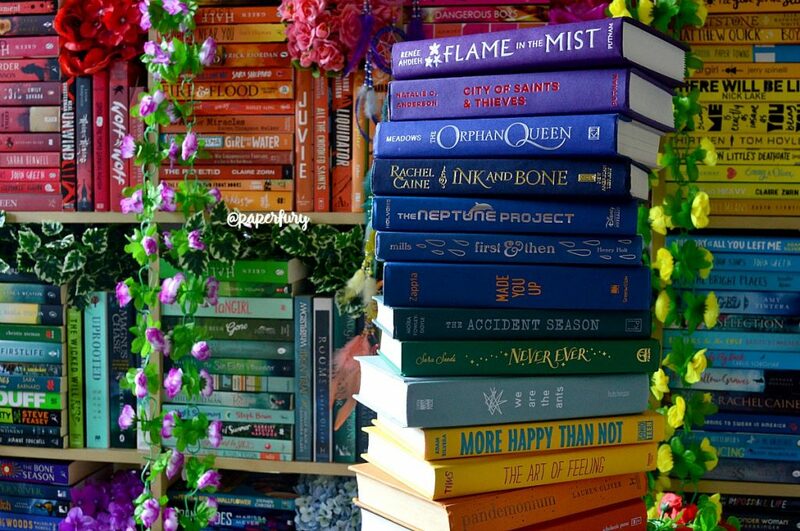 Can I PLEASE stop fangirling about all of these books?? I’m even getting anxiety from scrolling down and seeing all these amazing releases. I KNOW THIS WAS YOUR INTENTION, CAIT. Did you kind of color coordinate the order in which you organized this list within each separate month? Or maybe it’s just my eyes that are fooling me and you just placed them in publication order and that’s it. I’m struggling to pick the ones I’ the MOST anticipating, but if I keep it concise, I would say The Cruel Prince, Children of Blood and Bone, and A Thousand Perfect Notes, obv. Favorite covers: Obsidio, The Hazel Wood, and The Curses. I don’t even understand why, but something about that bright red cover for Monday’s Not Coming looks really to my liking. I will absolutely buy that book! And it’s right on time for my trip to USA and Barnes and Nobles in July!!! I need so so many of these!! Of course I’m very excited for your book 😉 I’m very much curious about the cover reveal! SAME THOUGH, LISA. WHY ISN’T IT IN MY HOT LITTLE HANDS YET. It’s true, me and my tbr are definitely thoroughly overwhelmed. Also, I’m an only child without siblings so like, WHOSE KIDNEY DO I SELL TO BUY MORE BOOKS??? My poor organ might have to be sacrificed for the cause. Also, obviously I’m excited to read YOUR book!! You had me at cake honestly. And I’m SUUUUUUUUPER excited about Legendary!!!! Tella was admittedly my least favorite character in Caraval, so I’m apprehensive about this sequel, but still super excited to see the world continued! I’ve never heard of Sometime After Midnight, but now I’m really excited about that one too because it sounds ADORABLE! Okay bye, gotta go conduct a Hunger-Games-esque tbr culling!! SELL YOUR NEIGHBOUR’S KIDNEY!! Or like a friend’s??? Do you have a weird cousin? Do that one. And afjsdklad this makes me so happy that you’re excited for my book. I SHOUT MY HAPPINESS. These books all sound sooooo good I kind of want to read them all right now. XD Also it sounds like there’s so much diversity in them!! Me like. So true right?! I love how diversity is becoming an expected instead of a novelty. AS IT SHOULD BE. OMG THANK YOU. *flails wildly in the back corner* And honestly 2018 is just being very cruel to our self control because the books look GORGEOUS. I mean who needs like to sleep and eat and work?? Pfft. Books are all we need. I was actually just talking to my friend this morning about how I had to “dump” a thing that my mind was writing so that I could make room for what I had to do during the day. Which is sad. Because I hate dumping stuff, because it’s basically scribbling down the bare minimum and then forgetting about for the rest of ever. By a Charm and a Curse and To Kill a Kingdom both sound AMAZING! And I added them to my goodreads imediently (because I had to) Also I am SO looking forward to reading whatever Sarah J. Maas has in store for us for her next book in the Court of Thorns and Roses series! (because I am OBSESSED!) Also have a bunch of other books I want to read I just can’t think of them right now. Omggg that makes me very happy about Charm and a Curse and To Kill A Kingdom (!!) because I’m SO excited about them!! WHY do you keep doing this to my TBR?! WHY?! I swear every time I read one of your posts I add at least one more book to it…! And it’s already waaaaaayyyy too big! BECAUSE I’M TERRIBLE, IRIS, AND YOUR TBR HATES ME AND YOU’RE WELCOME!! 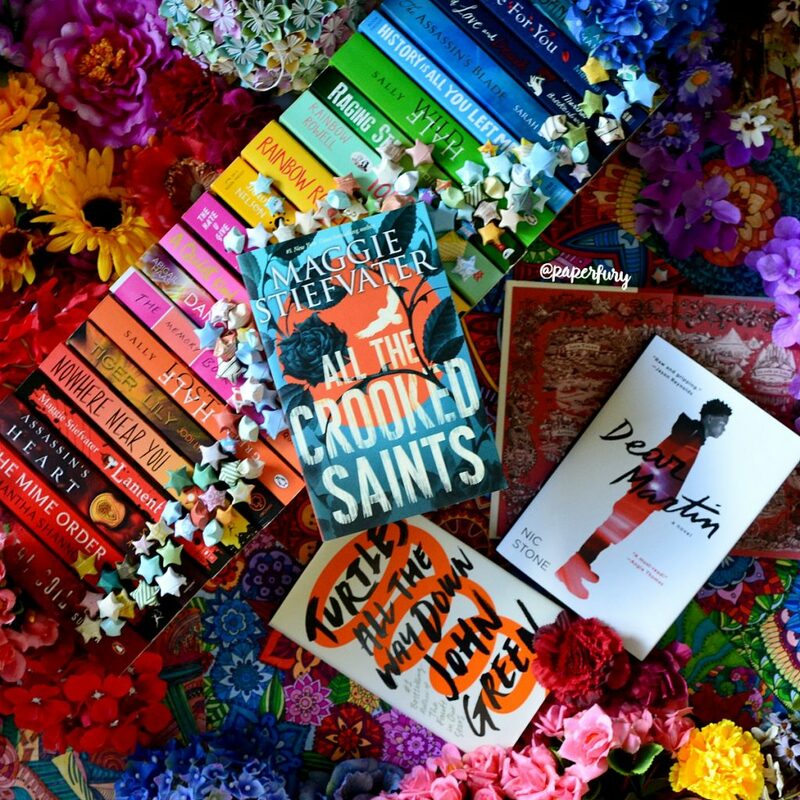 I am so so excited for The Dangerous Art Of Blending In, #Prettyboy Must Die, Summer Of Salt, Sometime After Midnight, Children Of Blood and Bone, Leah on the Offbeat, essentially all of them. Also Cait I am so excited for your book. I will be pre-ordering! Or seeing about a ARC because I have to wait until JUNE? Oh and Love Hate and Other Filters means the things that change the way we look at people. Like an Instagram filter. I am philosophical. There’s nothing like a life crushing TBR pile right?! I knew I shouldn’t have clicked on this post. I knew it. But thinking, oh she won’t have THAT many listed. I have self control. I’ve already copied and pasted almost a dozen to my wishlist to preorder. Evil little pocket monster. But let’s be honest, who isn’t deliriously excited for your book! Most of us have seen snippets from your work over the years and how you can win Namorimomefo in only two days but this will be you, on a page, in a book WITH YOUR NAME ON THE COVER! So many bloggers aspire to become published authors and you’ve worked so hard to get where you are. The question will be, can we send our copies to you to be signed? Dear Kelly, you are totally my BFF, love the best author to have ever authored. I literally said 56 in the title, Kelly. FIFTY SIX. You have no excuse and this post is basically TBR warfare and I’m not even sorry. The Evil Pocket Monster Rises Again. Omgggg I’m so happy excited NERVOUS for you all to read A Thousand Perfect Notes though (some day I’m going to cave and just call it 1000 Notes because I’m lazy so beware) and like IT’S FINALLY HAPPENING KELLY. I’VE BEEN WHINING ABOUT BEING PUBLISHED FOR 5 YEARS HOLY HECK I’M SO HAPPY. I obviously will have to dedicate the whole book to you at this rate to make up for the death of that stick that you never got over. “it’s a Jane Austen retelling… hopefully she uses it like Death Note.” No, Cait. Just no. Also, I totally buy books for the cover. (why would you want an ugly book?) I almost bought that new Nutcracker book because HELLO GORGEOUS DO YOU COME HERE OFTEN? but then I was smart and read reviews by fellow die-hard Nutcracker fans and realized, just like dating, you’re not guaranteed a winner because they’re hot. YES! CAIT!! YES!! Come onnnnn, where is your excitement! I did share my month with other releases and I think someone needs to actually reward me for being considerate. I mean obviously June should just be ME ME ME but…eh, some other people are doing things too. no joke, you made me ad 31 books to my already HUGE tbr list. i’m going to be broke by the end of 2018! Oh my goodness, I’ve just had to add so many of these to my TBR. Some of them I was vaguely aware of but hadn’t got around to looking up, but… Yeah, definitely going to go cry in a corner now. My TBR has literally just EXPLODED! Thanks, though, all these books look wonderful! Can’t Wait!